Dr. Collin Blakely graduated the medical school from the Perelman School of Medicine at the University of Pennsylvania and completed his residency program at the University of Pennsylvania Health System. A fellowship followed at the UCSF soon after that. Dr. Blakely is specialized in oncology and board certified in internal medicine and medical oncology. 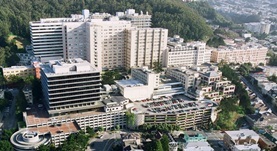 He has been in practice for more than 6 years and is affiliated with the UCSF Medical Center. During his career, he has also published two writings of medical interest in partnership with other doctors. Dr. Collin Blakely has contributed to 2 publications. Resiliency of lung cancers to EGFR inhibitor treatment unveiled, offering opportunities to divide and conquer EGFR inhibitor resistance. Blakely, C. M.,Bivona, T. G.; Cancer Discov. 2012 Oct 17. Emerging antiangiogenic therapies for non-small-cell lung cancer. Blakely, C.,Jahan, T.; Expert Rev Anticancer Ther. 2011 Oct 18.